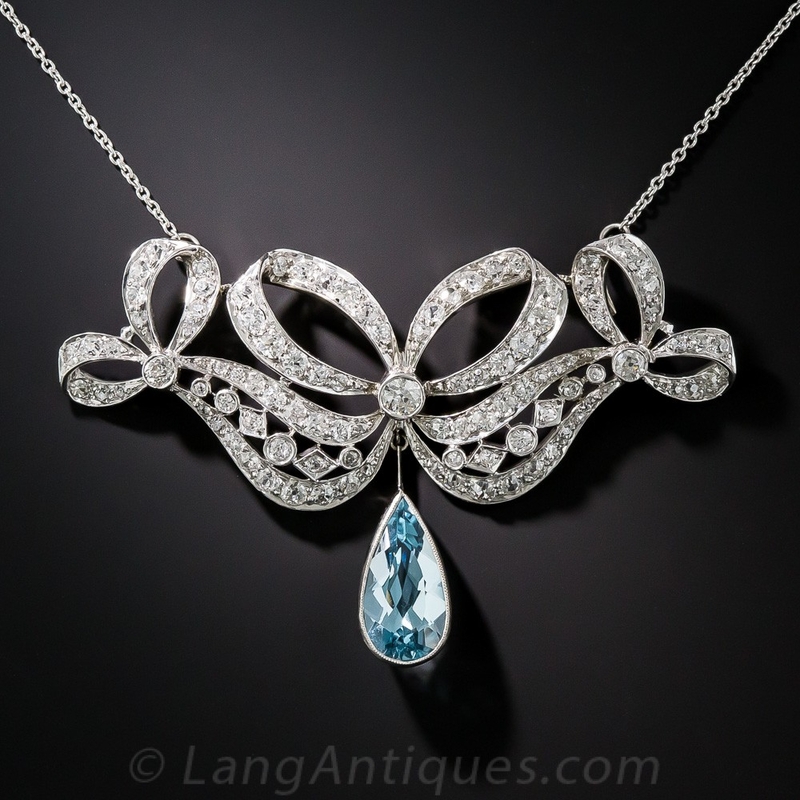 The Edwardian era, from the turn of the 20th century through the 1910s, brought jewelry that seemed to float on air. 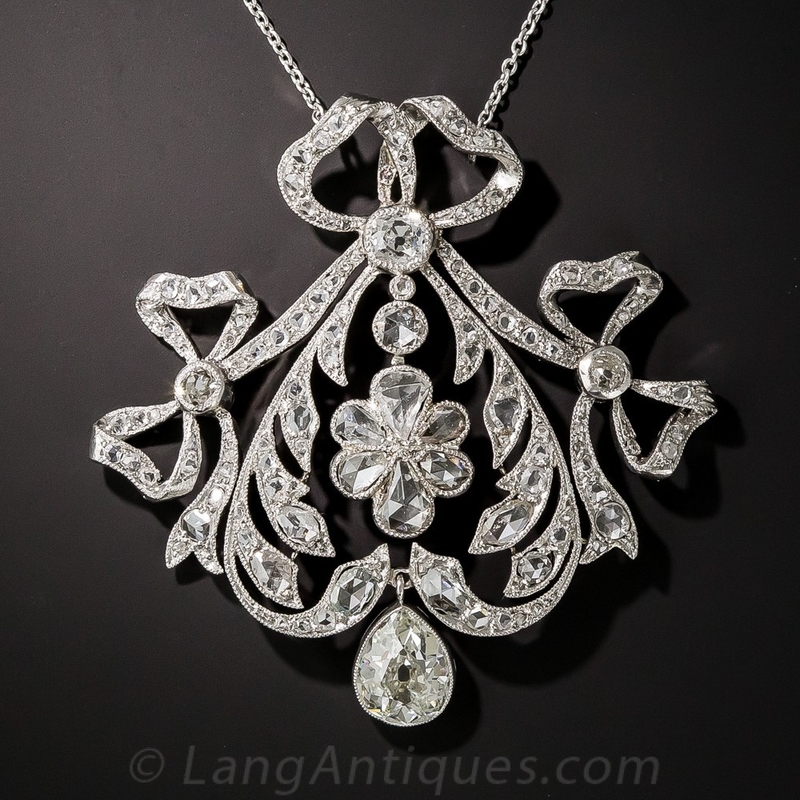 Openwork and piercing, especially when punctuated with a liberal use of diamonds, quite literally let in the light. 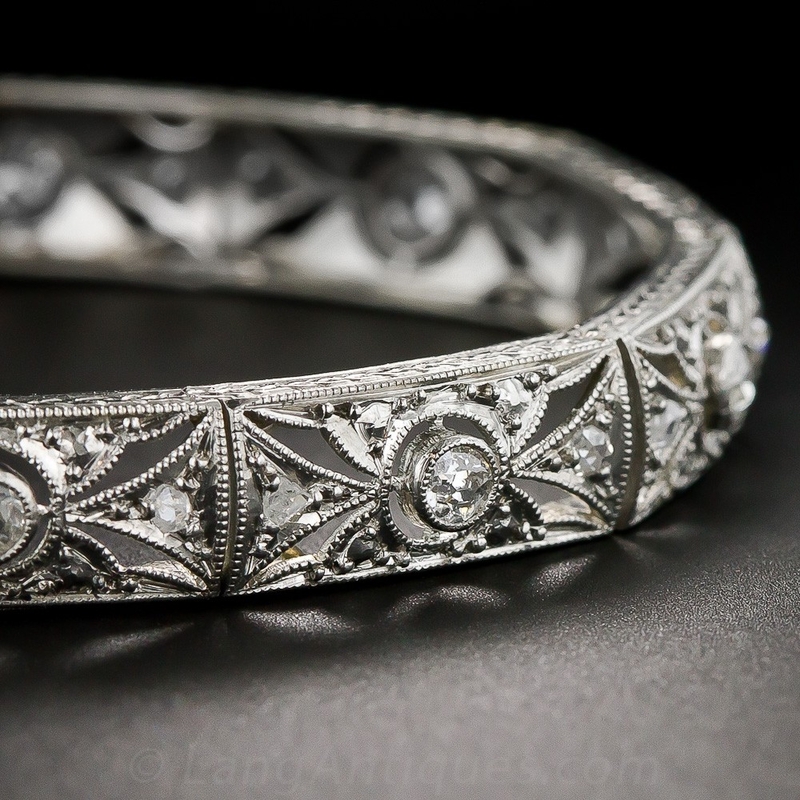 Advances in technology allowed platinum to be worked into intricate and delicate-looking shapes that were nonetheless very sturdy. 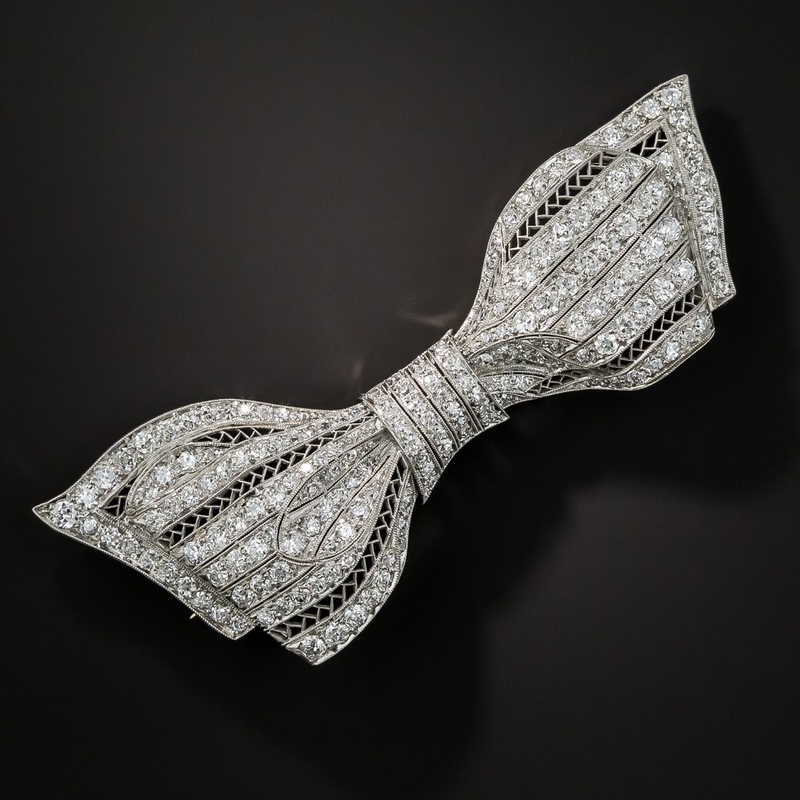 Garland and bow designs appeared to be made from diamond-studded lace, accentuated by millegraining along the edges. 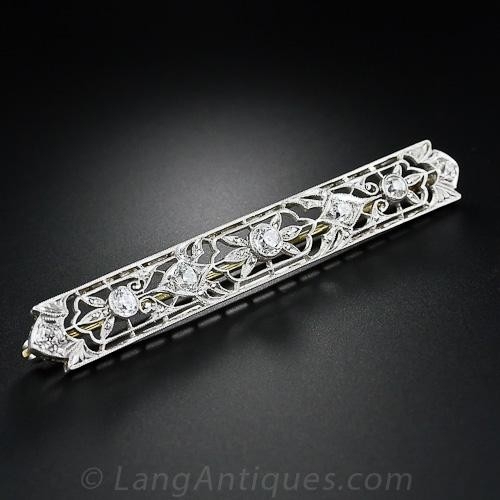 Though Edwardian jewelry is full of exquisite detail, the durability of its materials and construction make most of it quite wearable today. 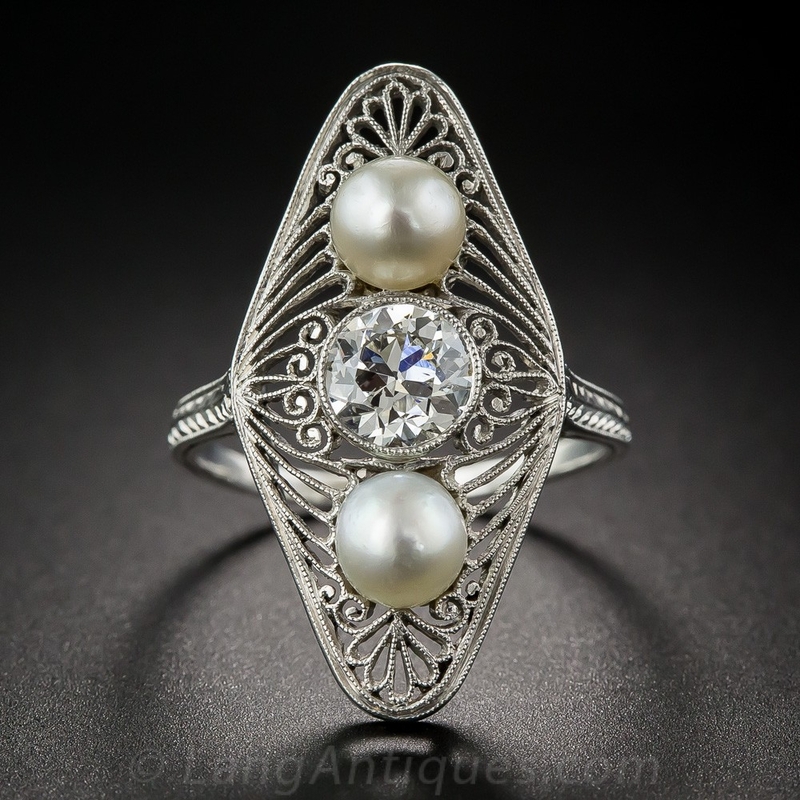 The Edwardians adored their rings, which used the same openwork designs. 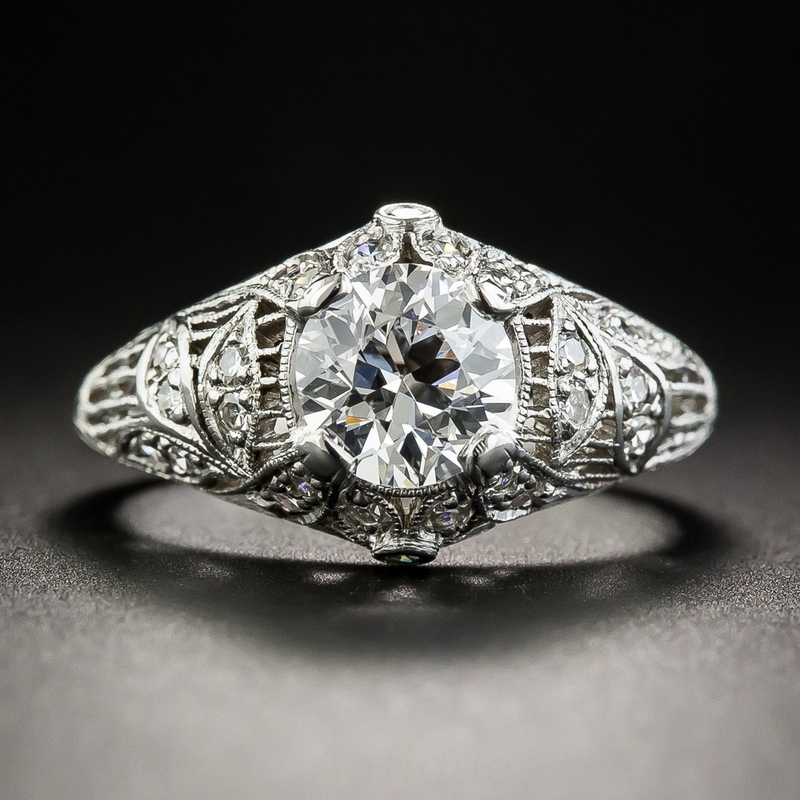 We love the ornate, lacy look of Edwardian engagement rings, made in durable platinum suitable for everyday wear. 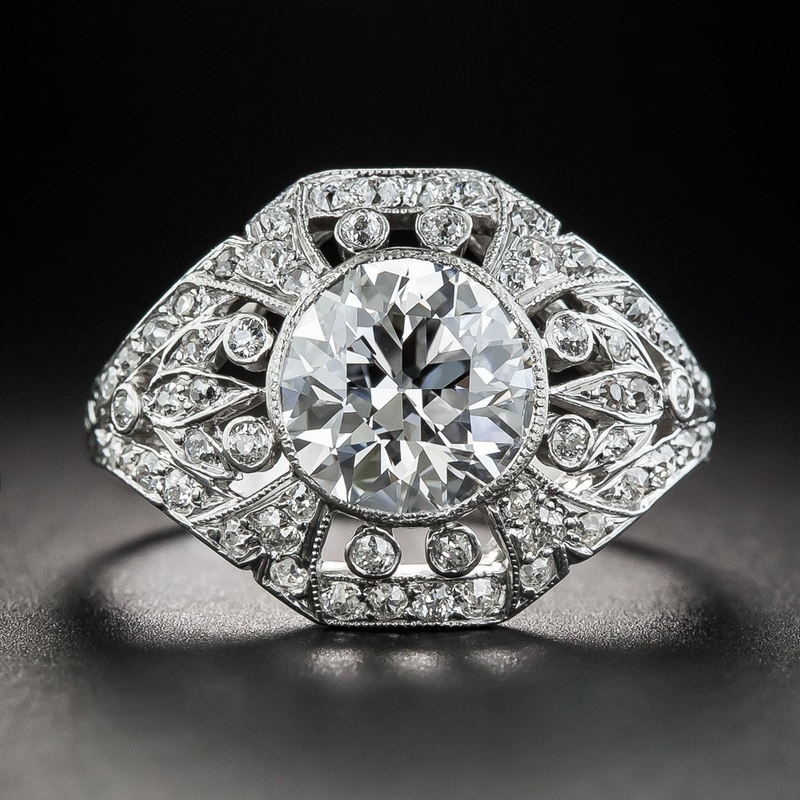 And large-scale dinner rings, stretching from knuckle to knuckle with scrolls, piercing, and other details, are a classic of the era. 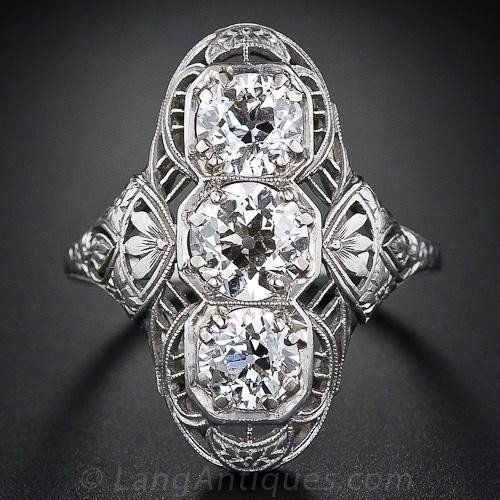 The strength of platinum also allowed center stones to sit securely in more minimal settings, surrounded by garlands or swirls of whatever the maker desired. 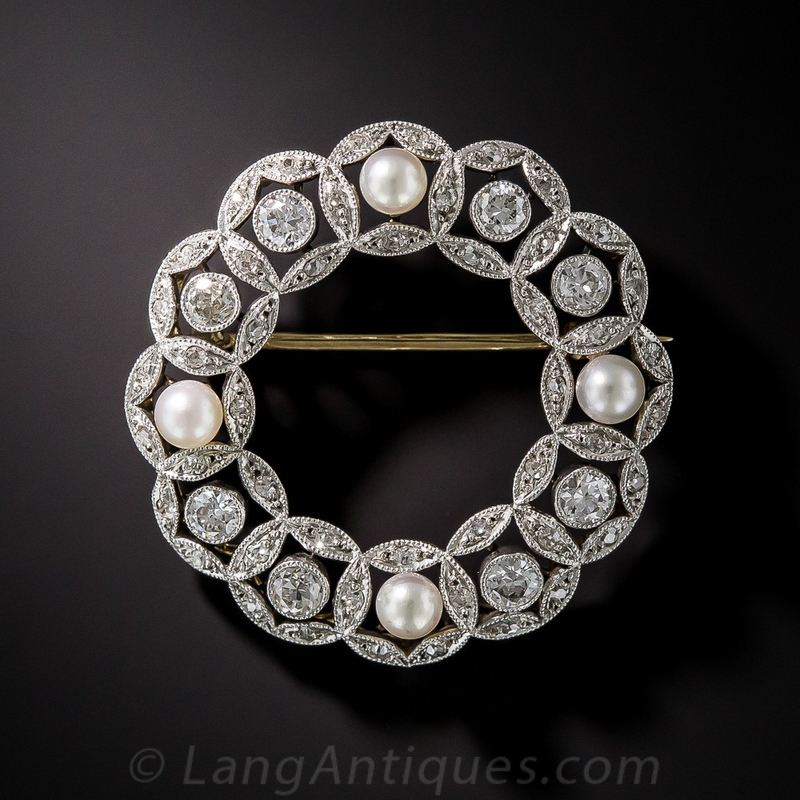 Small and delicate brooches hovered around the collars of the latest clothing styles. As necklines plunged, they gave way to necklaces that descended accordingly. 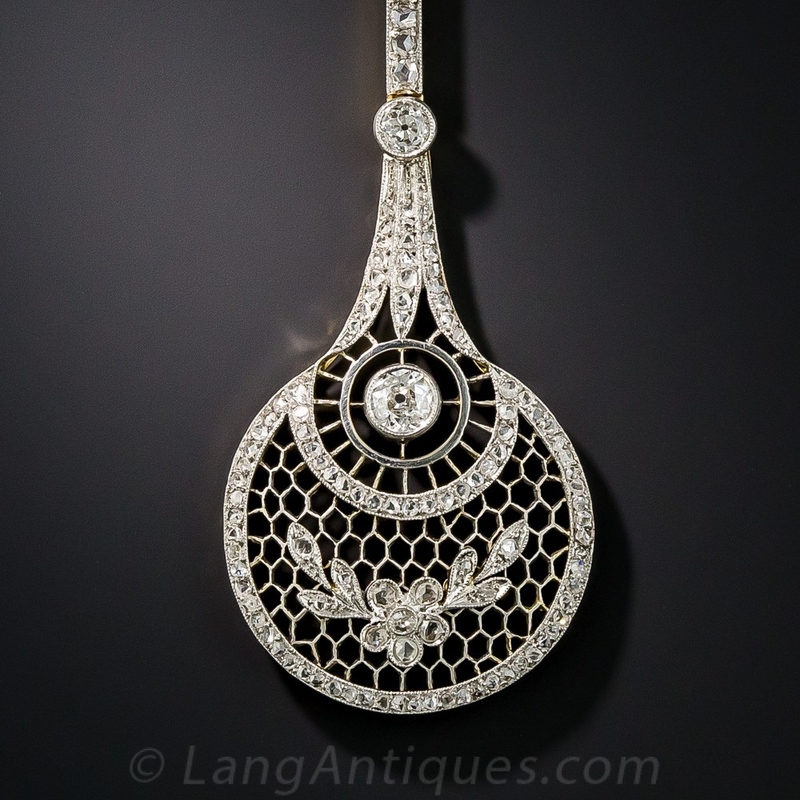 Long lavalieres and asymmetrical “négligées”—not to be confused with the intimate garment—went as low as their wearers dared to go. 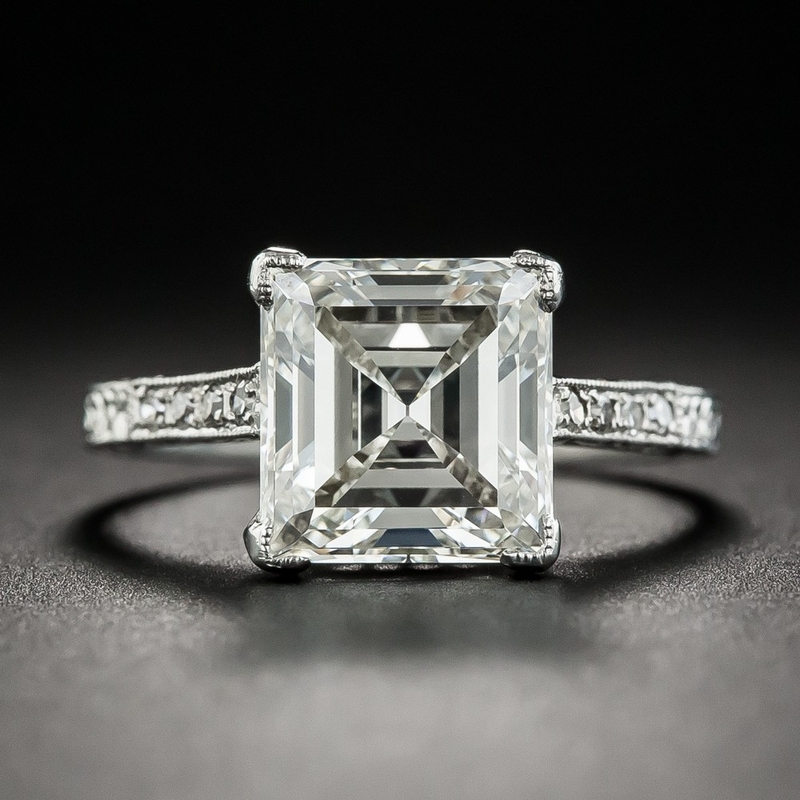 Though now technically antiques, these classic designs still look remarkably fresh and modern. 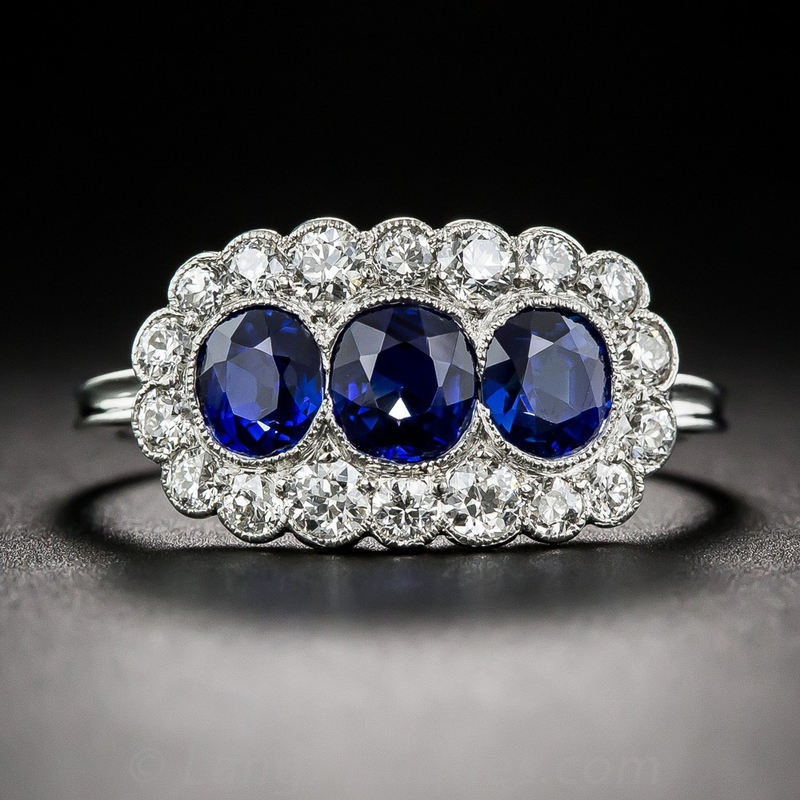 Platinum and diamonds never went out of vogue, but colored gemstones showed up in greater numbers during the 1910s, and easily worked their way into the era’s intricate designs. 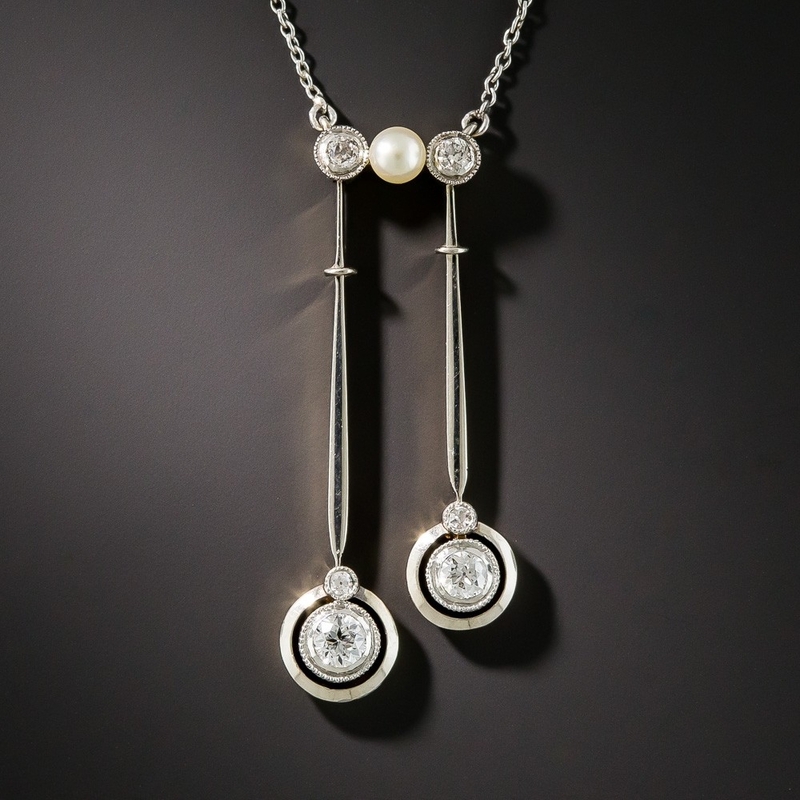 These bright and beautiful additions make an especially strong impression among the Edwardians’ favorite “white” elements of diamonds, platinum, and pearls. 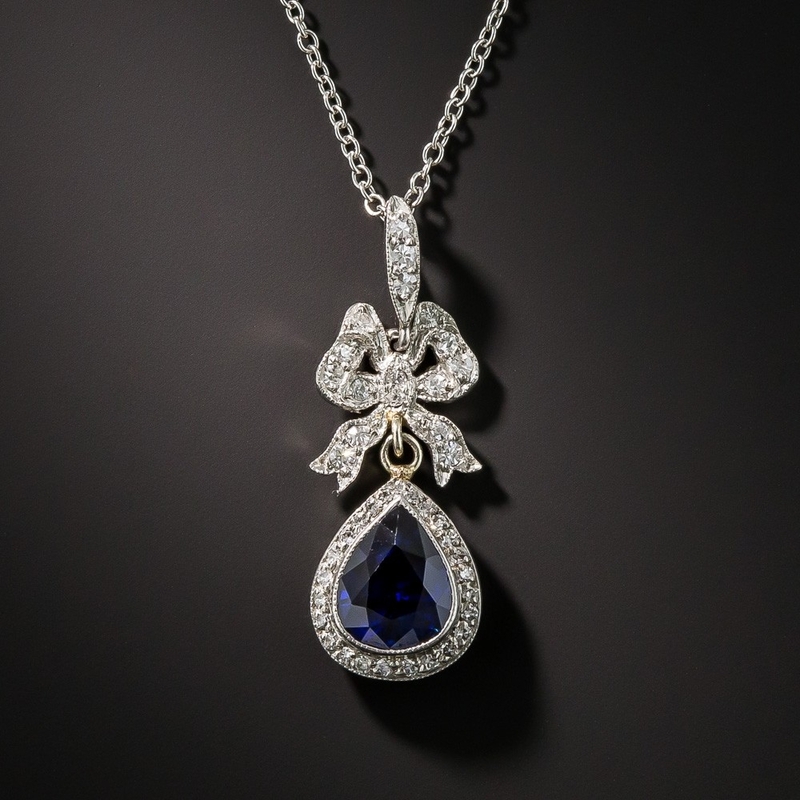 With so many details to catch the eye, it’s no wonder that some of our most superb pieces hail from this era. 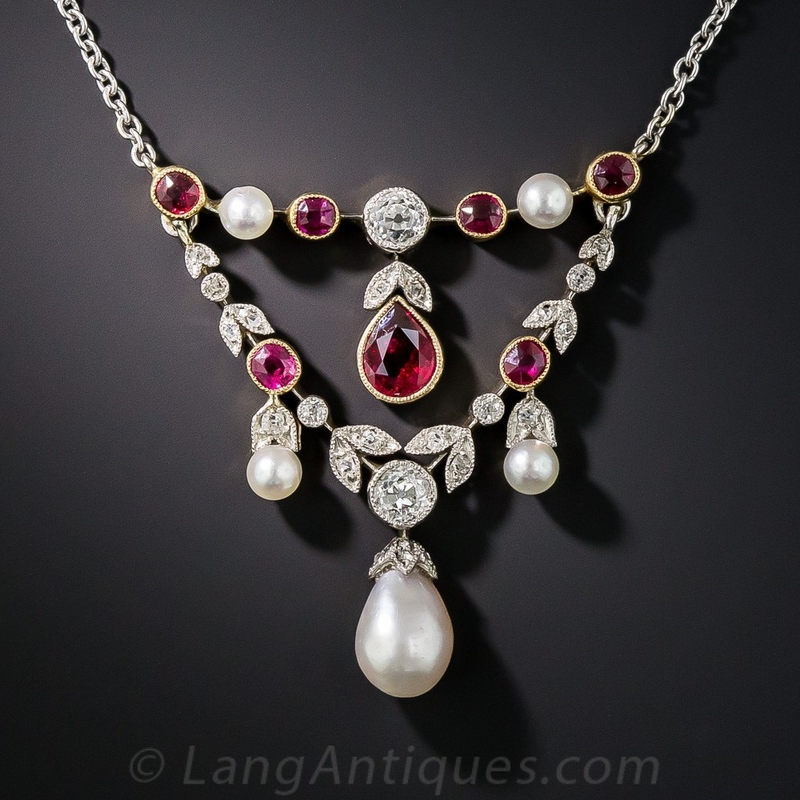 Learn more about the history—almost as intricate as the jewelry itself!—of Edwardian gems on our sister site, Antique Jewelry University.